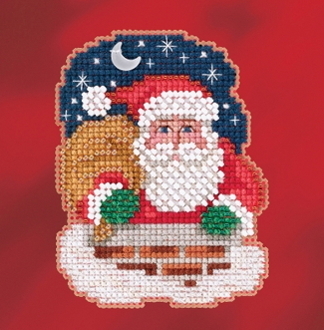 A beautiful Christmas Ornament kit depicting Santa going down the Chimney, adorn with the included Mill Hill treasure. Makes one ornament to hang or use the enclosed magnet to decorate any metal surface! Finished size: 2.5"w x 3.25"h (6.4cm x 8.3cm).